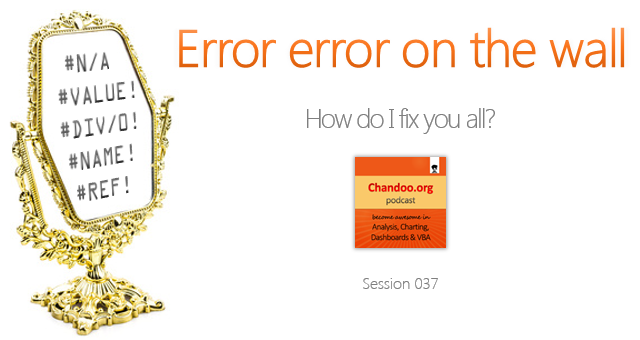 In the 6th session of Chandoo.org podcast, we focus on making you a better analyst and propose a road map for getting better at data analysis & improving your career prospects. 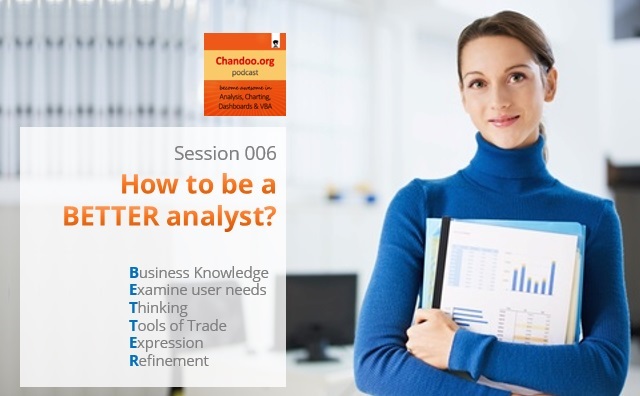 Why become a better analyst? 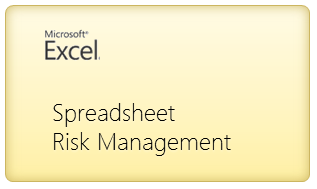 In the Managing Spreadsheet Risk series so far we have looked at the concept of spreadsheet risk and how to manage it both at a company level and at a spreadsheet level using Excel functionality. 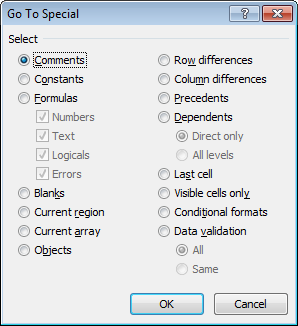 In this final article we are going to have a quick look at an example of spreadsheet auditing software. First off I should state that there is a wide range of spreadsheet auditing solutions in the marketplace of different types and styles and at a variety of costs. In this section I would like to take a little time to explain the criteria we applied when we were sourcing auditing software. The potential impact of spreadsheet error hit the UK business news recently after a mistake in a spreadsheet resulted in outsourcing specialist Mouchel issuing a major profits warning and sparked the resignation of its chief executive. Over the next few weeks we will look at the risk spreadsheets can introduce to an organisation and the steps that can be taken to minimise this risk.